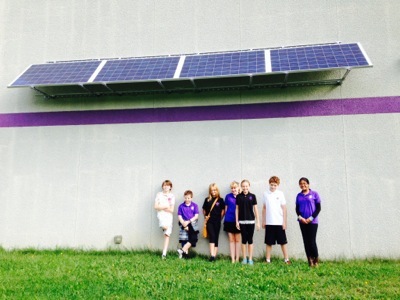 There is a new Illinois Solar School installation at the Einstein Academy on 747 Davis Road in Elgin, Illinois. 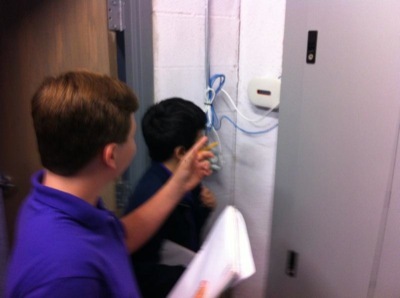 The project was funded with a 90% cost grant from the Illinois Clean Energy Community Foundation. Kojo Darkwa is the primary contact. The installation consists of 4 US Multi Silicon Solar Modules and an Enphase inverter. The panels are 250 watts each making the system a 1 kW (1,000 watts). There are 75 students at the Einstein Academy. This entry was posted on Sunday, October 19th, 2014 at 1:05 pm and is filed under Illinois . You can follow any responses to this entry through the RSS 2.0 feed. You can leave a response, or trackback from your own site.